2004 -12 Mr. Snowman, Chance and the Sparetime! Click here for more snow pics! 2004-12 Repeat Customer and another limit! 2004-12 Chance driving from the duck blind! 2004-12 Easy limit of Red Heads! 2004-12 Limit of Reds and then some! 2004-11 Took a couple of hour but the fishing started biting! 2004-12 What guides mean when they say "want to go out tonight dear"! 2004-11 One of Many in the last two days! 2004-11 First Red of the Day! 2004-11 Another Texas Winter Trout! 2004-11 Guides on During the Week! 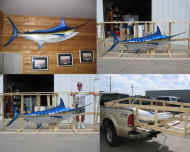 2004-10 Picking up a Marlin Mount! 2004-10 Yum Yum more Redfish! 2004-10 Training Trip on their boat! 2004-10 Ten hour trip to the rocks, good catch even with North winds! 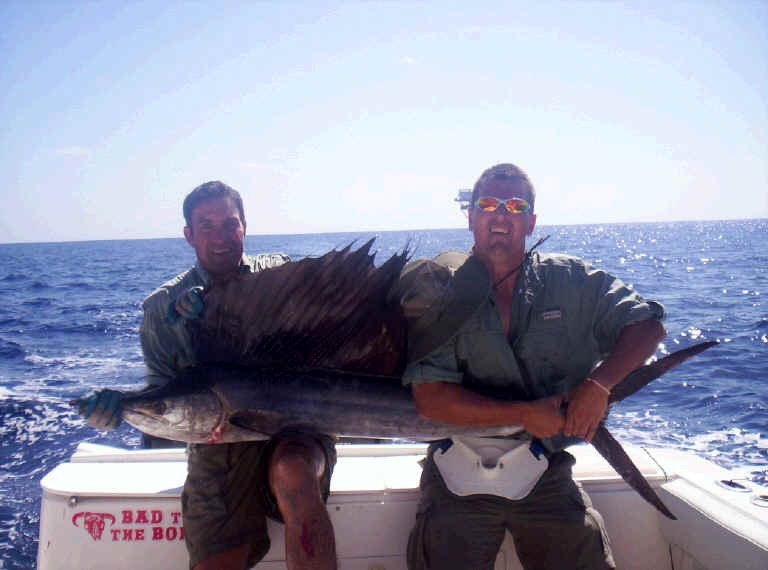 2004-09 Wahooo after a Blue & White Marlin Hookup! 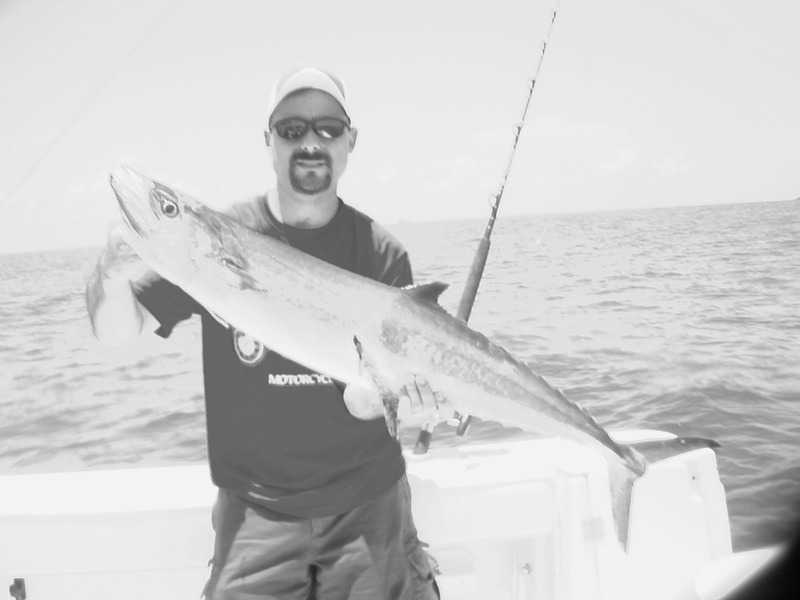 2004-09 limit of King and a Wahoo, Blue Marlin and White hooked up! 2004-09 King Fish and a smile! 2004-09 king fish and two smiles! Watch movie #3 from big fish earlier! 2004-09 Nice Wahoo at night! Watch movie #2 from big fish earlier! Watch movie #1 from big fish earlier! 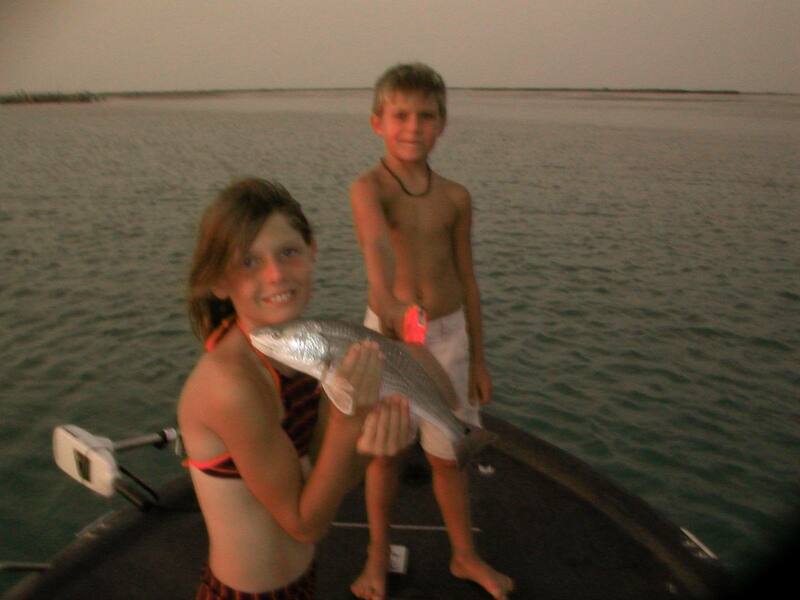 2004-09 Yum Yum Redfish on the Half shell! 2004-09 Nice day for King Fishing! 2004-09 What Bay Guides do on their day off! 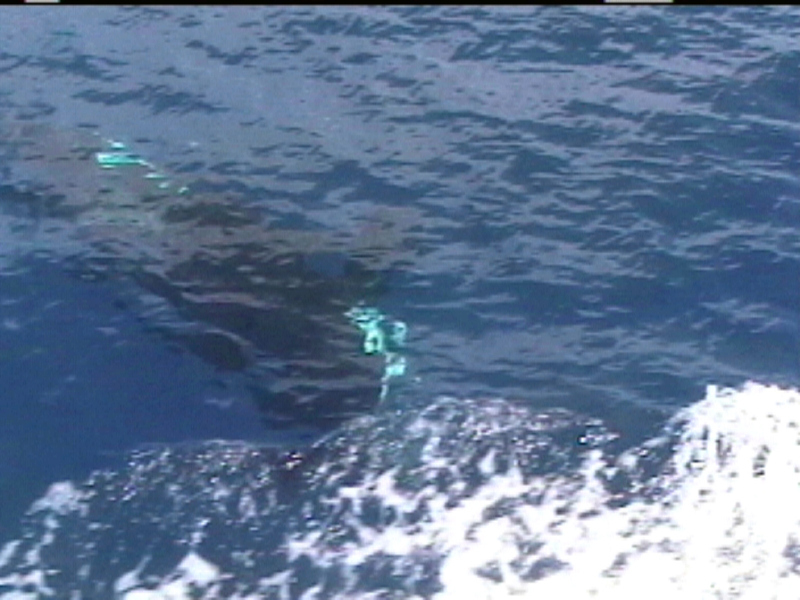 2004-08 Tuna & a 500# Blue Marlin jumped off! 2004-09 8 Hours, Rain and 20 Knot winds! 2004-08 Tough half Day Trout even tougher on Reds on the other half! 2004-08 Half Day Bay Trip...after a front! 2004-08 90# Blacktip on a training trip! 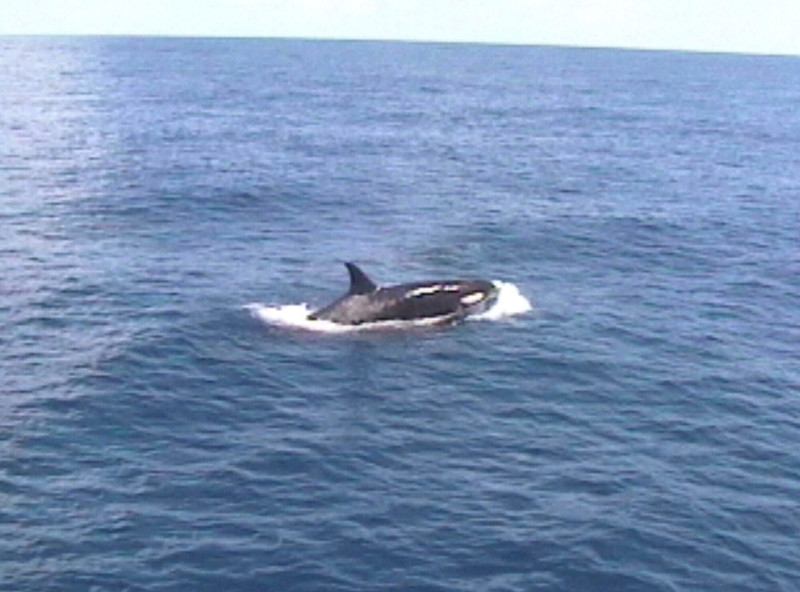 2004-08 Killer Whales on Marlin trip! 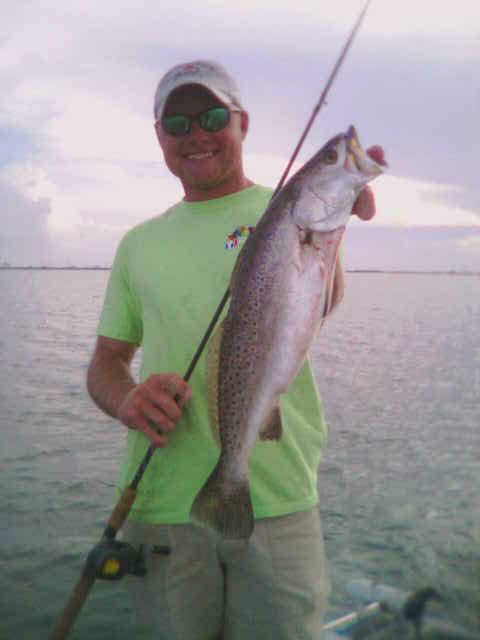 2004-08 Another half day limit of light tackle Kings! 2004-08 4 hour King Trip! 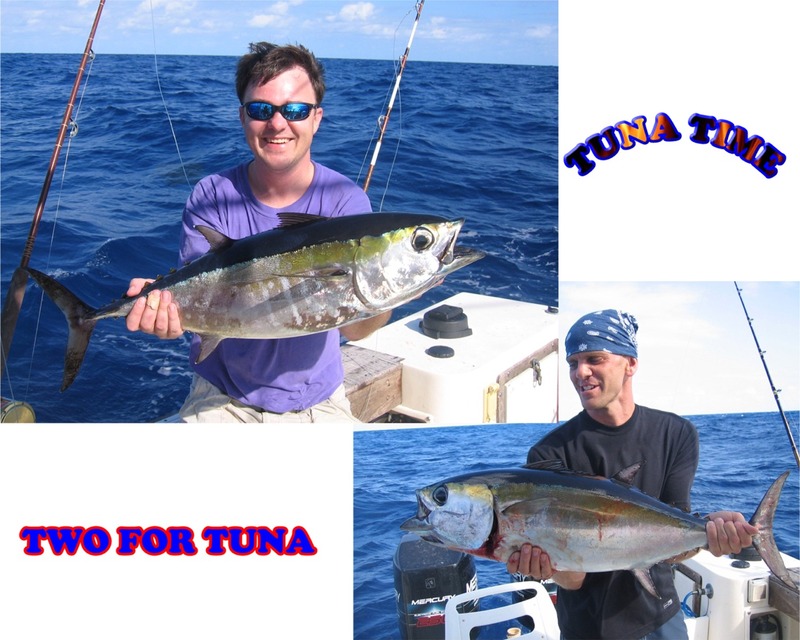 2004-08 12 hour Tuna Trip! 2004-08 Half Day King Trip! 2004-08 Me having fun in the bay, 1 hour! 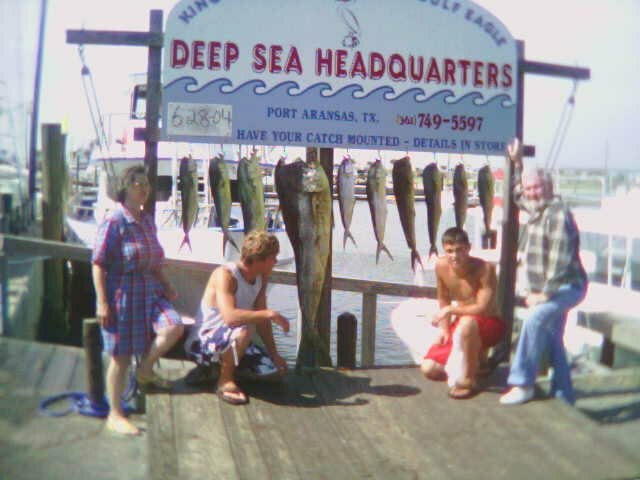 2004-08 Half day offshore with releases too! 2004-08 Floating Oil Rig head offshore! 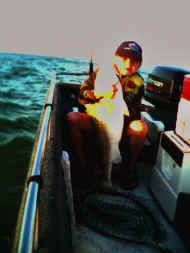 2004-08 Nice King on 17# bait caster! 2004-07 Big Trout, Big Smile! 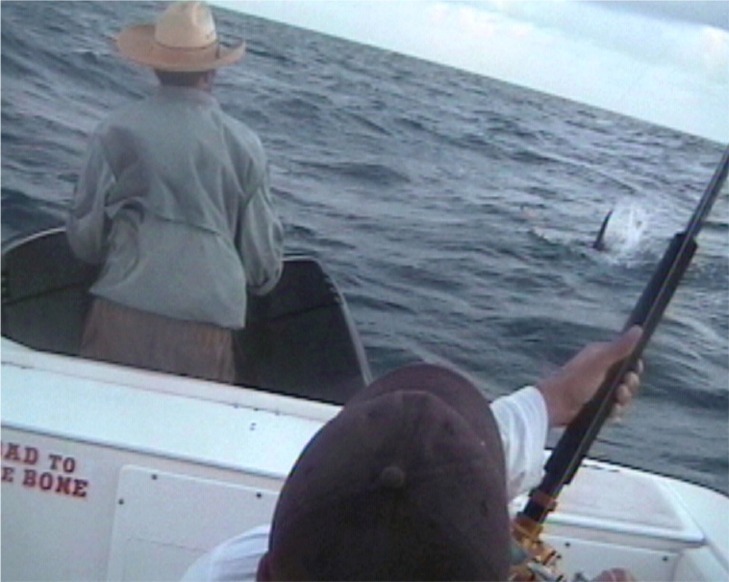 2004-08 40# Jack on 17# bait caster, everyone was in on the 1 hour fight! 2004-07 Big Mahi-Mahi for Kansas! 2004-08 8 hour Kings & Ling with the Farmers! 2004-07 morning bay trip with the kids! 2004-07 2 hour trip with my family! 2004-07 A fun trip with my family! 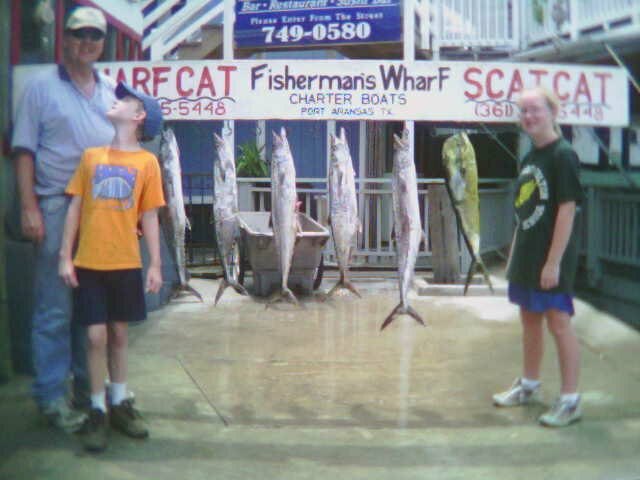 2004-07 The kids caught 9 Kings in 2 hours! 2004-07 Nice Trout for Chance! 2004-07 10 Trout limit one hour! 2004-06 Bay Sharks get a lot bigger! 2004-06 Couple of Nice ones! 2004-06 Chance with a 5' Shrimp Eel! 2004-05 First Blue in Texas! 2004-05 The Capt., Just messing around! 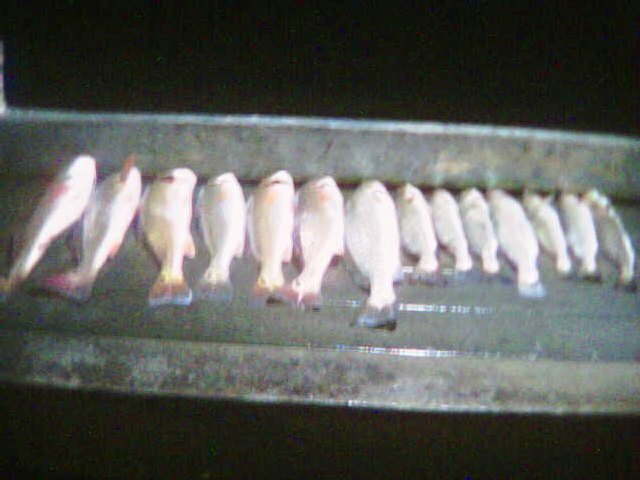 2004-05 3 1/2 hours of fishing! 2004-05 Nice Trout, out for Fun! 2004-05 Nice Catch, Early day! 2004-05 one of many doubles, releasing keeper Reds! 2004-05 A few of the many Fish! 2004-04 Rest after a night of EEL Fishing! 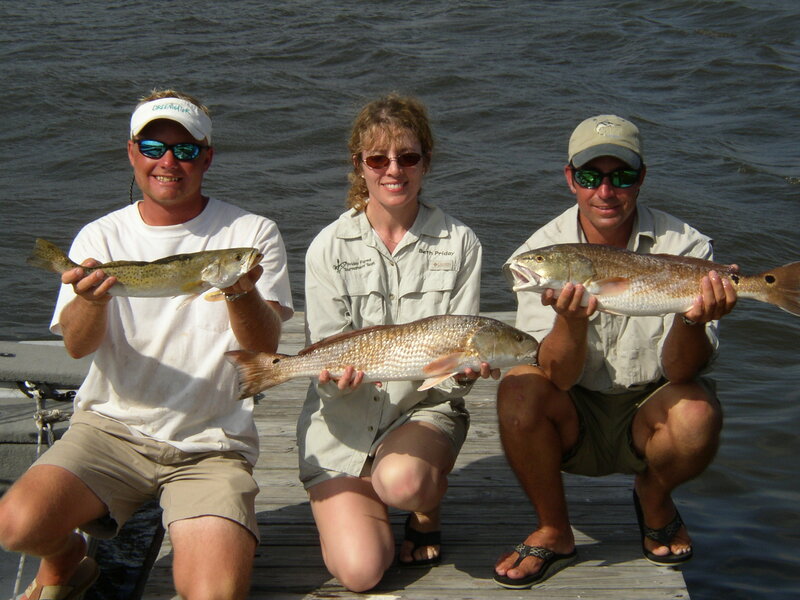 2004-04 Babes on the Bay Redfish! 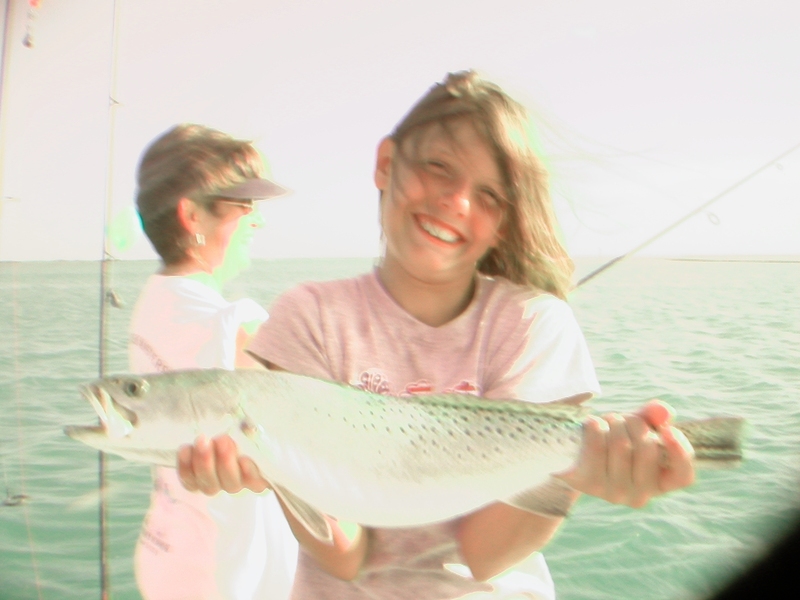 2004-04 Babes on the Bay Trout! 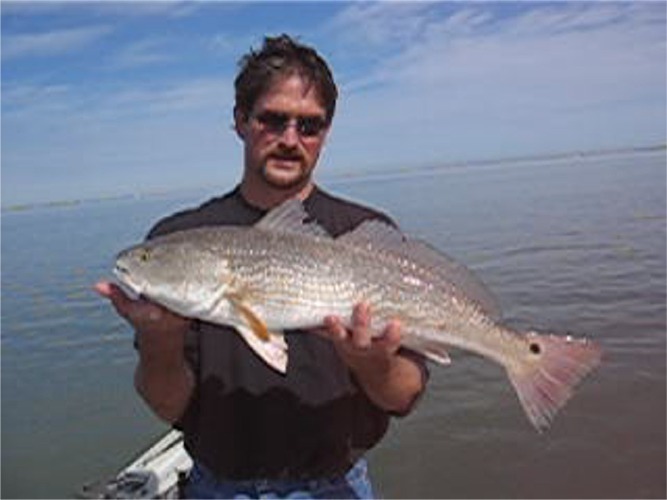 2004-04 Nice eBay Red Fish! 2004-03 Little Mako for the Barbie! 2004-03 eBay catch (Broken Camera)! 2004-03 Another nice trout from eBay! 2004-03 Bay Trip, who is bigger? 2004-03 Bay Trip lots of Fun! 2004-03 Bay Trip after 1 hour! 2004-03 Bay Trip, Happy Faces! 2003-11 23 Knot Winds and rain!